Oklahoma Connection | Headington was raised in Oklahoma City and is a graduate of the University of Oklahoma. Headington is a producer of award winning films such as The Departed, The Tourist, Argo, and Hugo. He is a member of the British Academy of Film and Television Arts. Although born in Dallas, Texas, Timothy Headington, along with his parents and two younger siblings, moved to Oklahoma City when he was five. He attended Oklahoma City schools and the University of Oklahoma, where he lettered in tennis and graduated with a Bachelor of Arts degree. 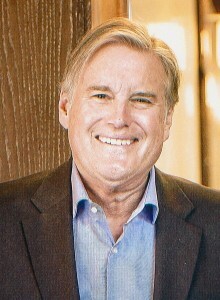 Headington earned graduate degrees in theology and psychology from Fuller Theological Seminary in Pasadena, California, and completed his psychology internship at Los Angeles County Hospital. Inspired by his father and uncle, both geologists, Headington formed an oil and gas company in Oklahoma City in 1978. Currently headquartered in Dallas, Texas, Headington Resources is primarily involved in oil and gas exploration and is active in several of the major basins in the United States. The company also has significant investments in real estate, hotel development and private equity. Headington is the co-founder of the Headington Institute, a non-profit organization whose mission is to provide psychological and physical care for caregivers worldwide and to promote the physical hardiness, emotional resilience and spiritual vitality of humanitarian relief and development personnel. Headington continues to be an active supporter of his alma mater. He was honored in 2005 with the OU Regents’ Alumni Award and was awarded an Honorary Doctorate from OU in 2011. He has been a major contributor to the Headington Tennis Center and Headington Hall at OU. See pictures of Timothy C. Headington and other media HERE.